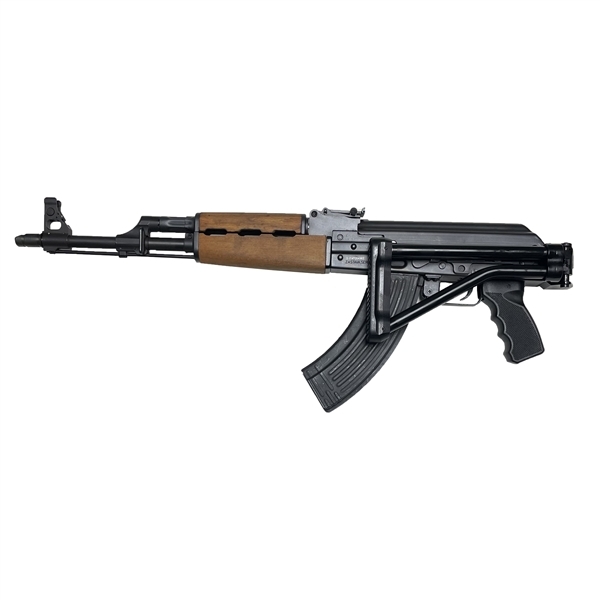 The M90 Folding Stock is designed to bolt right onto M70 and M90 series AK47s. It also can be mounted onto milled receiver M70A1s although it is a tight press on most of these guns. All are bolted with a custom designed mount screw that allows you to thread into the existing buttstock nut and requires no modifications to the gun. 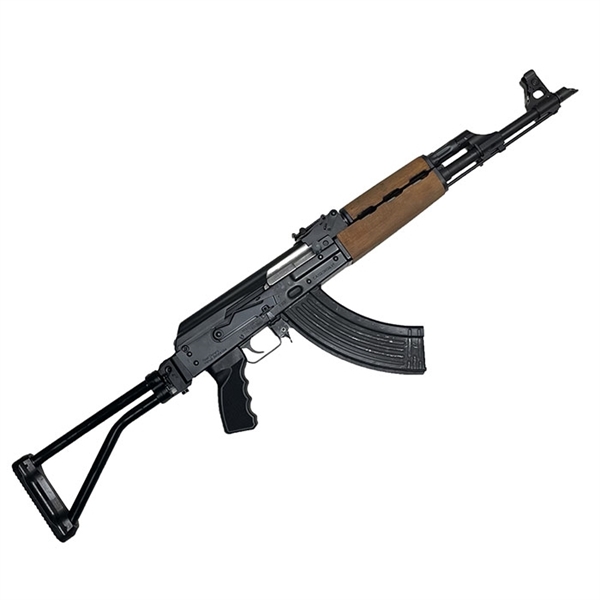 This item is currently available in right hand folding configuration and accepts a wide variety of CNC Warrior buttstocks depending on the configuration that you choose. We will separate all of these styles on our website soon with pictures of each one, but for now you can place your order here and specify the buildout that you want in order notes or by calling our office during normal business hours. Regarding the triangle stock setup, we offer both straight (as shown in these photos) or 5 degree "droopy" stock that is angled down similar to original Bulgarian Krinkov designs. Both styles clear the charging handle in folded position on this gun, so it is primarily a cosmetic and ergonomic consideration. 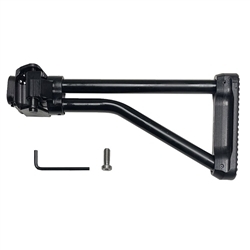 This price includes the hinge base, your choice of buttstock and all necessary mounting hardware. *Note: The triangle stocks bolt on to our modular hinge arm and are normally sold separately. For a limited time they are being offered here at no additional cost.